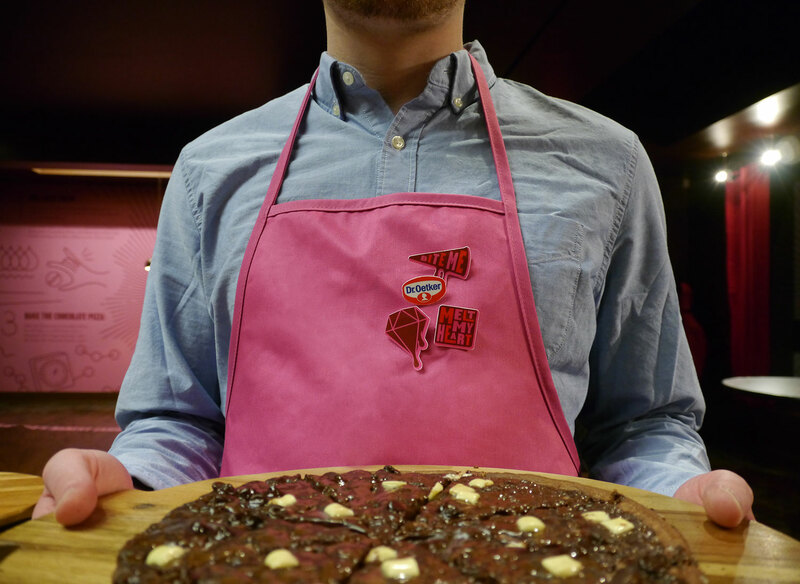 To launch Cioccolato’s, the world’s first frozen chocolate pizza, Dr. Oetker has opened a pop-up pizzeria made entirely of chocolate. 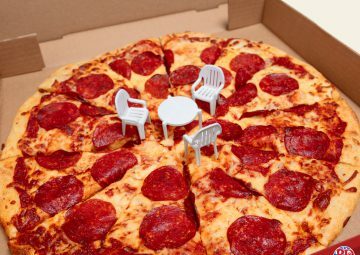 That’s right – not only is the pizza chocolate, but so are the tables, the cutlery, the oven, the walls, the chandelier and the artwork. The pop-up opened on February 9th (National Pizza Day), at Queen and Shaw streets in Toronto’s West Queen West neighbourhood and will stay open through Valentine’s Day with guests being given a tour of the restaurant and free slices of Cioccolato. 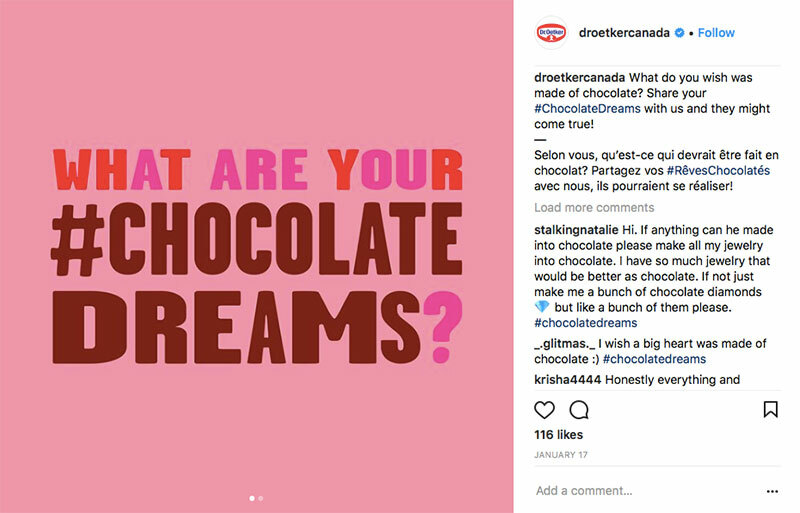 To tease the opening, Dr. Oetker introduced the #chocolatedreams hashtag on social media and asked Canadians what their chocolate dreams were. The company then made some of those dreams a reality. “We made chocolate flowers and chocolate chandeliers,” says Scott. “One guy asked for a chocolate shark. We couldn’t do that, but we did make a chocolate shark painting.” The team worked with renowned local artist Adrian Forrow, who used chocolate as paint to create six original works of art. 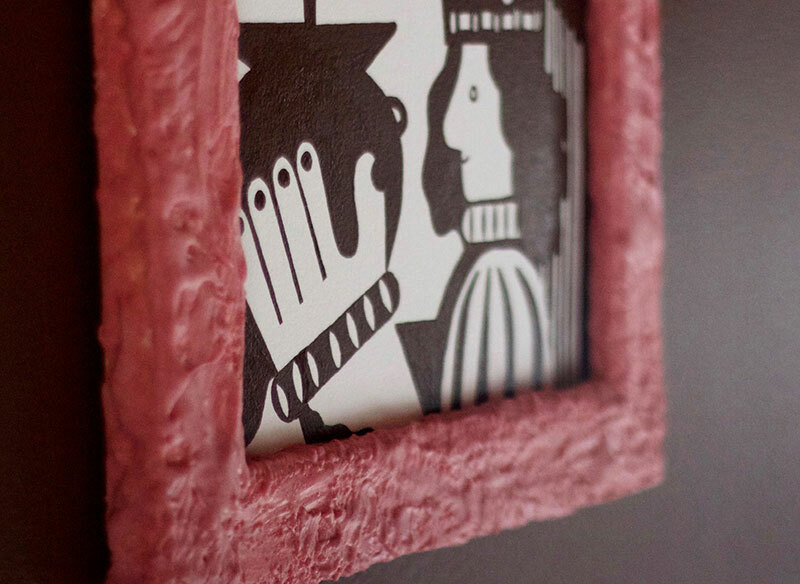 Naturally, the art is framed in chocolate. 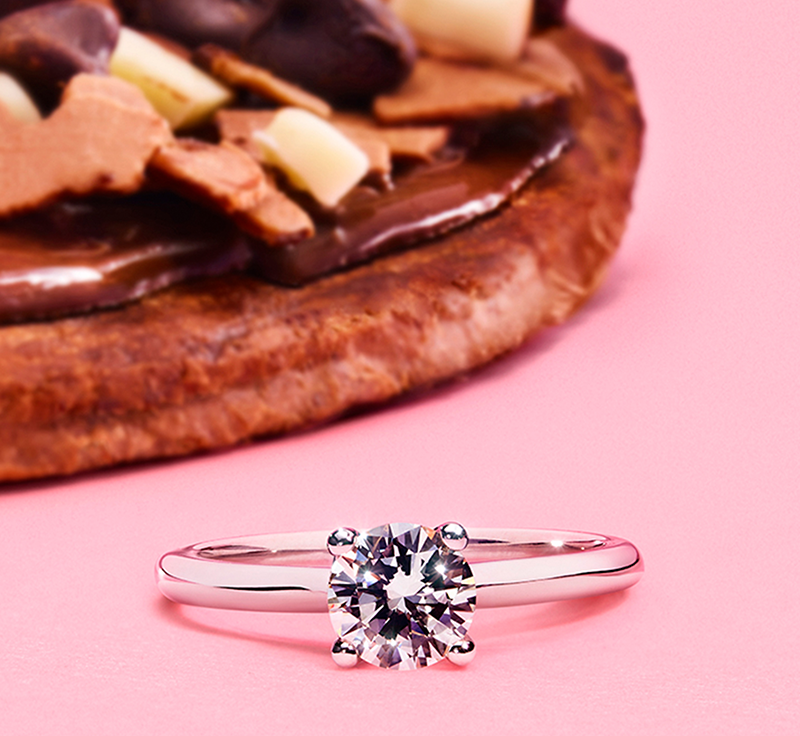 Heart In Diamond took a Cioccolato chocolate pizza that had been broken down into powder form and placed it in a high-pressure, high-temperature oven – which is capable of achieving temperatures greater than 2,000 degrees Celsius and a pressure of 60,000 atmospheres – for 120 days to create the .54 carat diamond. 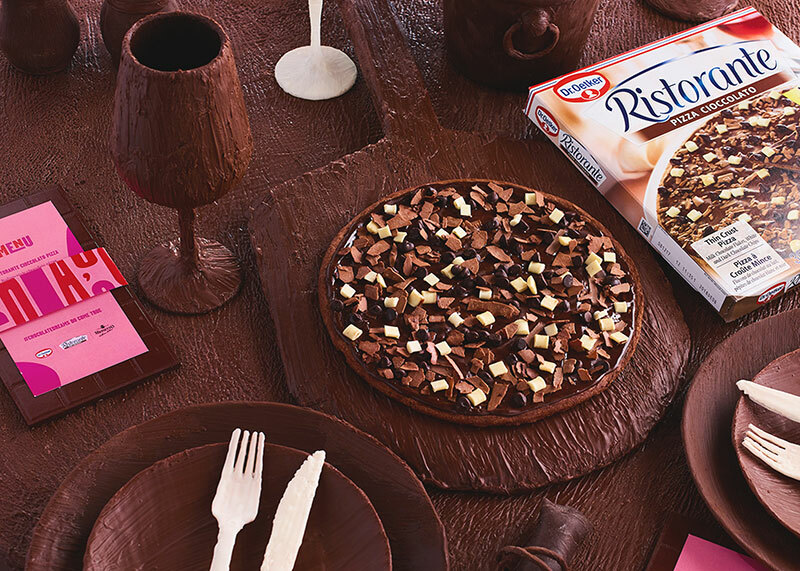 Dr. Oetker’s new chocolate dessert pizza features a chocolate crust and is topped with chocolate sauce, dark chocolate chips, milk chocolate shavings and white chocolate chunks. john st. worked with Toronto experiential agency Launch! 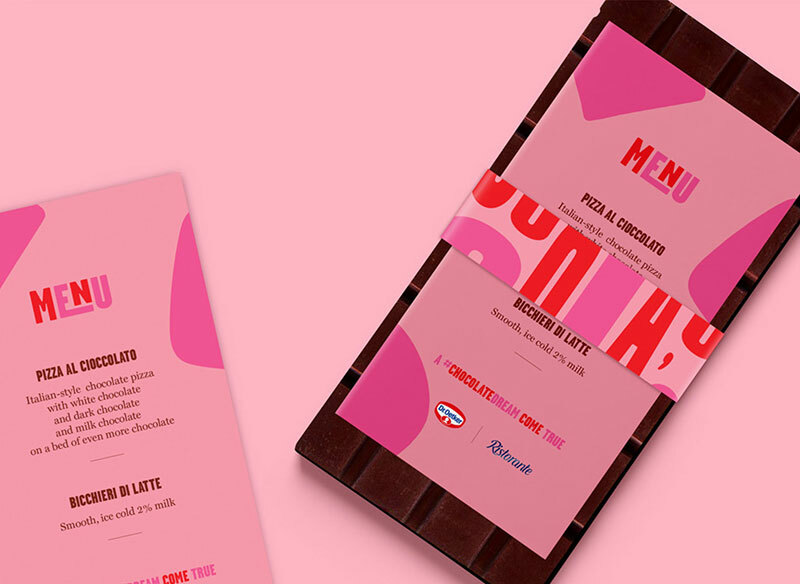 to pull the project together, while media agency Initiative promoted the limited-time event. 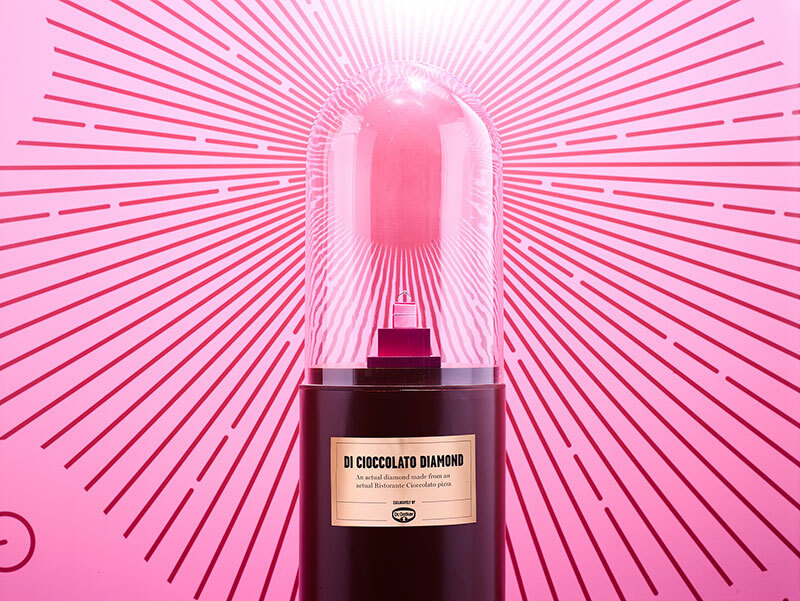 The pop-up opened on February 9th (National Pizza Day), at Queen and Shaw streets in Toronto’s West Queen West neighbourhood, and will stay open through Valentine’s Day with guests being given a tour of the restaurant and free slices of Cioccolato. 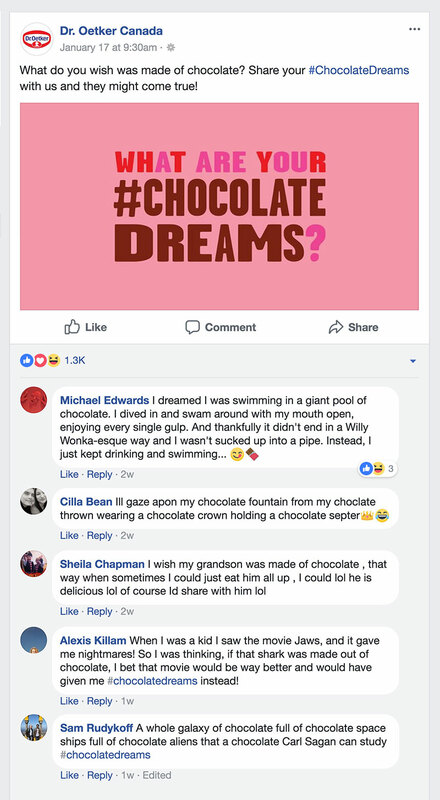 To tease the opening, Dr. Oetker introduced the #chocolatedreams hashtag on social and asked Canadians what their chocolate dreams were. The company then made some of those dreams a reality. 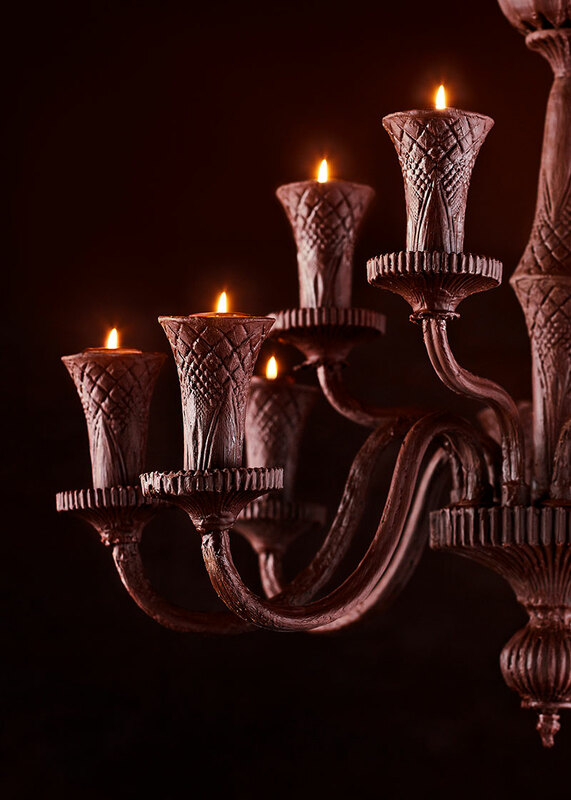 “We made chocolate flowers and chocolate chandeliers,” says Scott. “One guy asked for a chocolate shark. We couldn’t do that, but we did make a chocolate shark painting.” The team worked with renowned local artist Adrian Forrow, who used chocolate as paint, to create six original works of art. 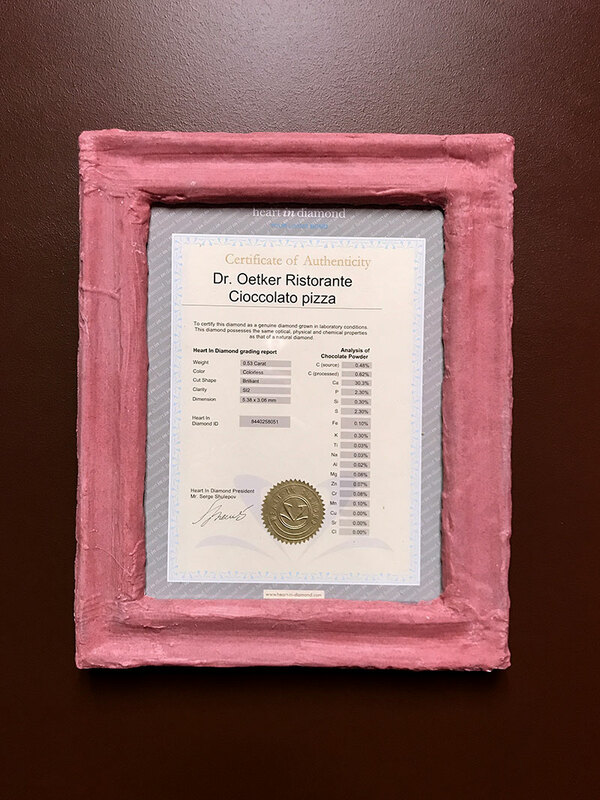 Naturally, the art is framed in chocolate. Heart In Diamond took a Cioccolato chocolate pizza, that had been broken down into powder form, and placed it in a high-pressure, high-temperature oven – which is capable of achieving temperatures greater than 2,000 degrees Celsius and a pressure of 60,000 atmospheres – for 120 days to create the .54 carat diamond. Open from February 9-14th from 3-9 p.m. Client: ‎Dr. Oetker Canada Ltd.